You all know I'm a little bit obsessed with Clarins. I have a lot of their products on the go at the moment, but my latest love is their lip products. 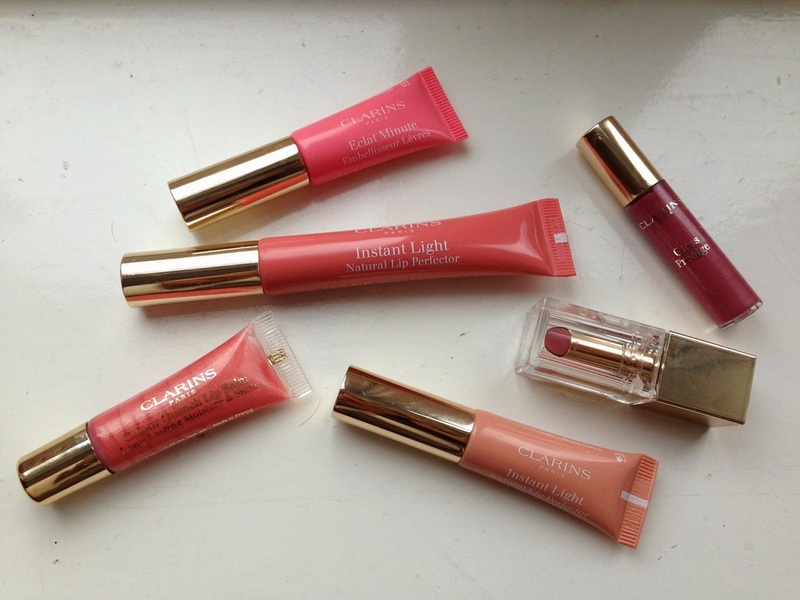 You might remember I showed you all a little bargain I got from Selfridges that was a set of lip mini's from Clarins. Well that has well and truly taken over my lip product stash. I've owned a full sized Lip Perfector for some time now and ever since getting it I've been hooked. The Lip Perfector is the perfect mix of balm and gloss with a lovely applicator and gorgeous packaging. It feels so luxurious when I'm applying it, they have definitely become part of my everyday make up routine. I love the colour selection too perfect nudes and pinks giving you that 'your lips but better' look. 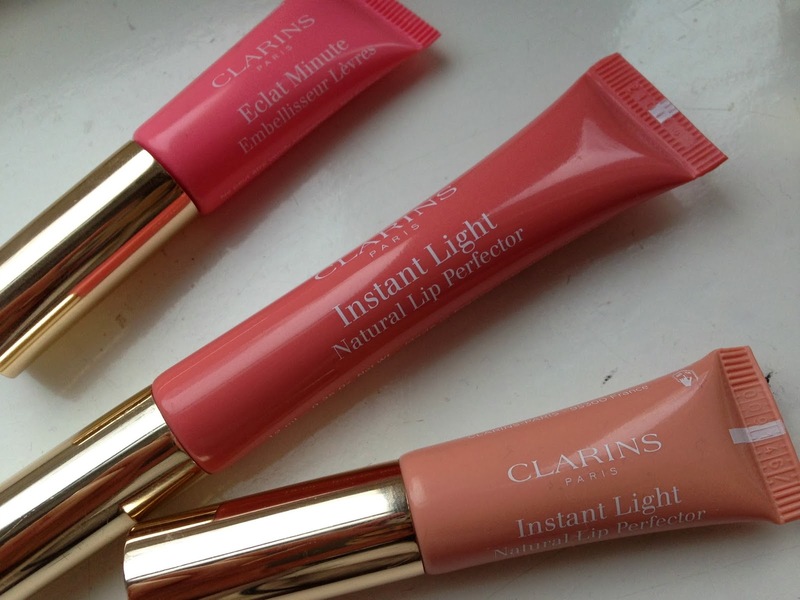 I've never tried Clarins lipsticks or regular lipglosses before I picked up the mini's set. And I have to say I'm in love. The lipsticks are so gorgeous, they go on perfectly and leave my lips feeling quite moisturised which is pretty impressive. They are not drying at all and stay put through pretty much anything. The lipgloss' have been completely sold to me with this mini. They are so, so lovely. I'm not a huge lipgloss wearer, I hate the sticky feeling and the fact your hair gets stuck to your lips the second you leave the house, but I have to say I've been converted. This is the easily the least sticky gloss I've tried plus it actually stays put on my lips - bonus. I seriously can't get enough of Clarins at the moment, if you have any recommendations from them for me, please send them over. My fave skincare products from them are easily the brightening exfoliating toner and the hand and nail treatment, but I'm always hunting for more.. I have heard so much about the lip perfector, I Have to get it, literally tomorrow! I've actually never tried anything from clarins before but those colors look lovely! I have never tried any Clarins products but will be sure to go their counter next time I'm out shopping. I've never tried any Clarins before. I think I might have to after reading this!